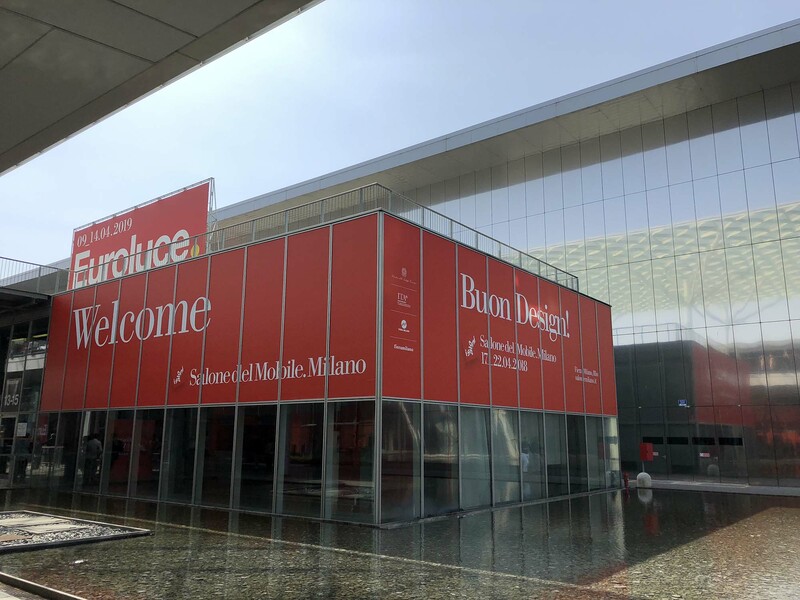 In March, those in the LA design community planning to attend Salone del Mobile gathered to whet our appetites for the big week in Milan — which, as the world’s most recognized design fair, is now bigger than Milan Fashion Week. Laying Out the Plan. 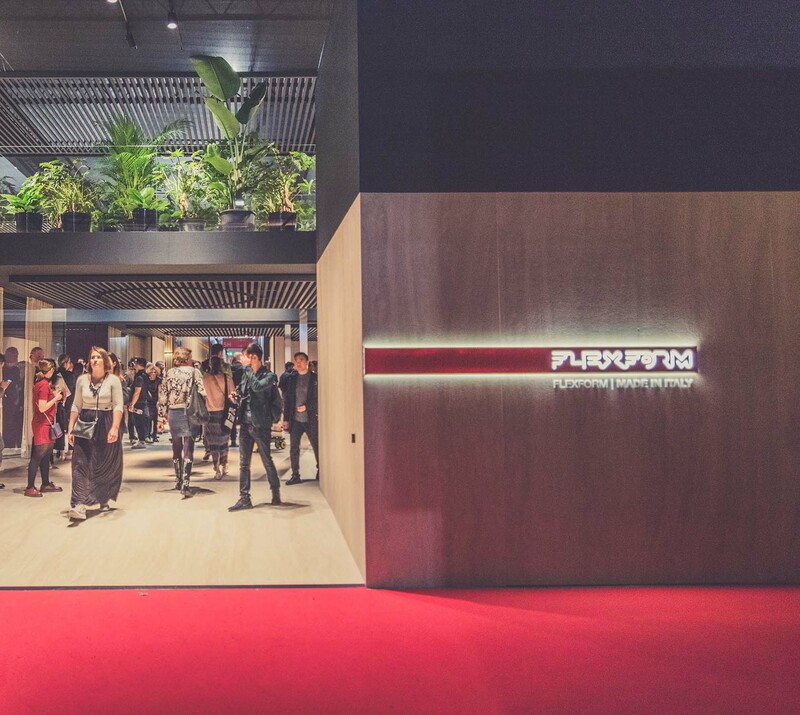 KBFA partnered with GC Collaborative clients — Flexform, Snyder Diamond, SMEG and LA Design Magazine — to create an unforgettable Salone del Mobile itinerary of events for interior designers. 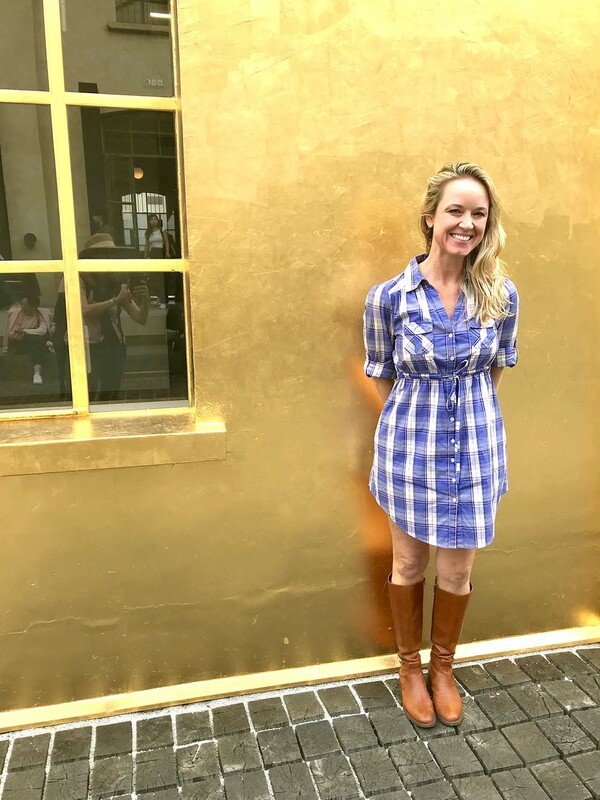 Ginna Christensen organized a robust program for Milan with various clients and KBFA was invited to join. Anticipation in West Hollywood. KBFA co-hosted a Pre-Milan Party in April with our partners at the beautiful new Flexform showroom in West Hollywood. We invited LA interior designers to clink glasses and celebrate the program for Milan. Guests included designers Ryan Saghian, Brooke Gardner, Edel Legaspi and more. Countdown to Milan. 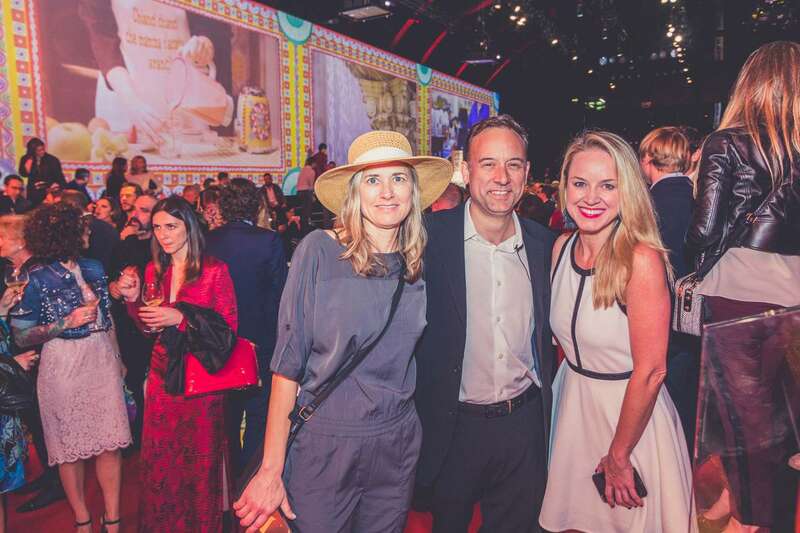 See LA Pre-Milan Party event photos and videos. Spending time in Flexform’s booth at Salone was among our favorite experiences in Milan. This included a stroll through Flexform’s million-dollar buildout that filled two stories and two blocks. 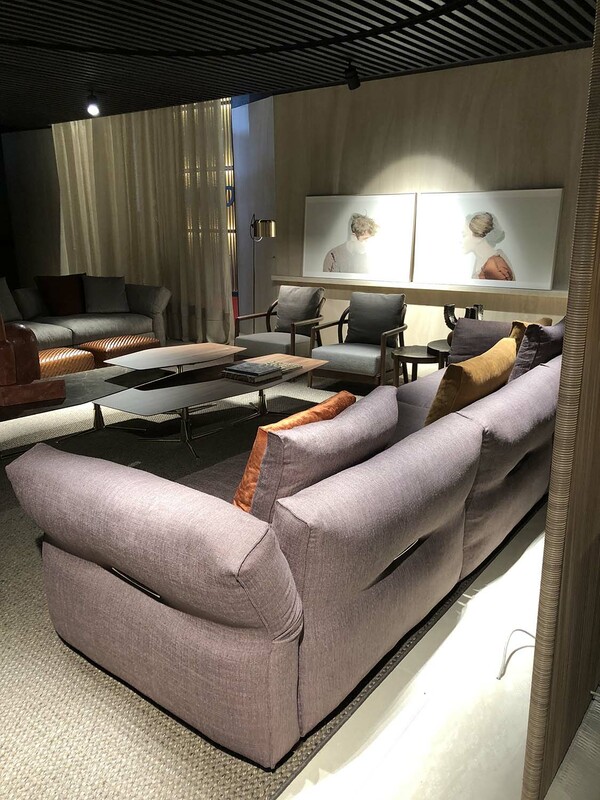 It looked as though Flexform had shipped an entire showroom filled with luxurious design elements to Milan. New furniture launches were displayed in separate sections for each designer who created a line. Truly an unbelievable display of cutting-edge design. KBFA got the royal treatment and was given access to the VIP section upstairs where Jason Fiore and Kristin Glass had the opportunity to sit down with Pietro Galimberti and Carlo Columbo. You can also see highlights from our adventure, including the latest design and art trends, footage from exclusive parties and interviews with some of the world’s most respected interior designers. 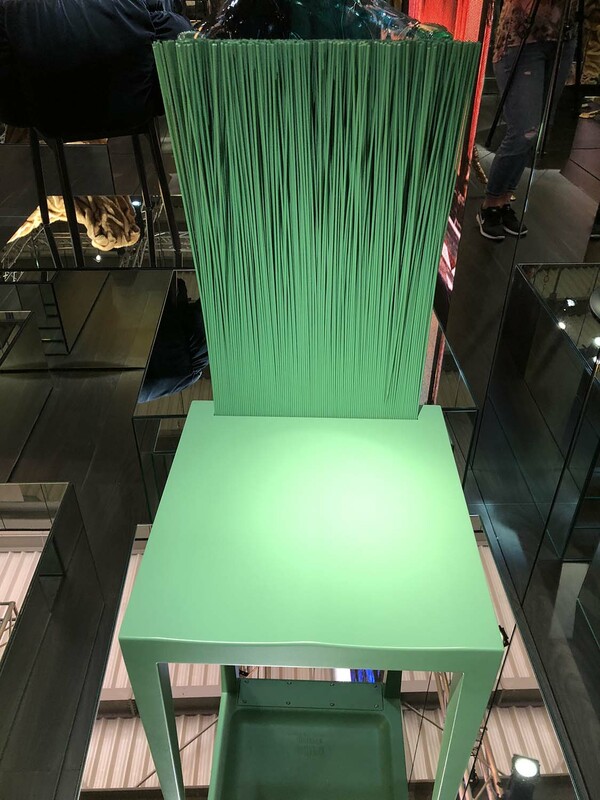 Don’t miss this unique peek inside Salone del Mobile 2018! 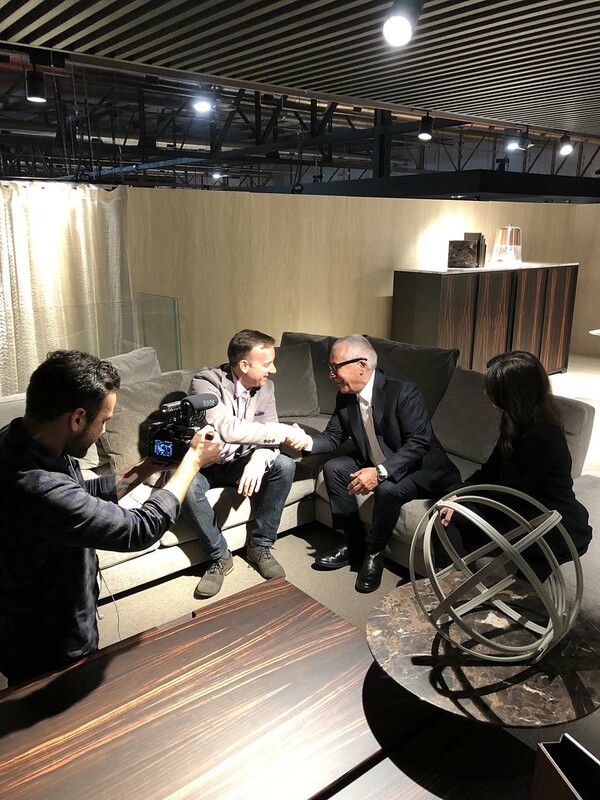 We met with Pietro Galimberti, who founded Flexform with his brothers in 1959, to ask him how Flexform thinks about art in their furniture designs. “Art became a lifestyle expression which is not to be separate from what we do,” Pietro told us. “It’s transmitted in the products we make. We get inspired from art and try to transmit that into our collections. Art and furniture work together to influence a symbiotic expression of each other.” Well said, Pietro. Art + Furniture Design = Lifestyle Expression. Flexform booth at Salone de Mobile. Ciao, Google. In Google’s first appearance at Salone del Mobile — alongside designer Rossana Orlandi — we saw further evidence of lifestyle expression as an emerging trend through technology pieces integrated into living spaces. Speaking of Google, check out KBFA’s most recent corporate art installation at the tech giant’s San Francisco headquarters. Can you say “interactive coloring wall”? Designers in Milan were not afraid to get playful and downright quirky with their showcases. 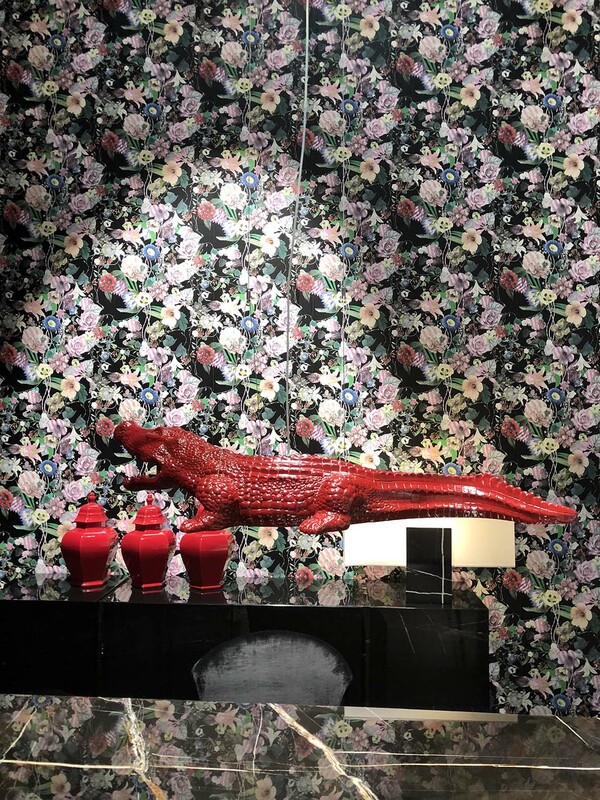 We saw bright floral prints and playful hanging white alligators at AltaModa. Nearby, Stefano Giovannoni’s design brand Qeeboo charmed us with colorful molded plastic teddy bears, chairs shaped like bunnies and other winsome creations. Queebo is a young and spunky brand focused on affordable, injection molded plastic furniture and various design objects. Stefanoo Giovannoni asked well-known creatives Andrea Branzi, Gabriele Chiave of Marcel Wanders studio, Richard Hutten, Nika Zupanc and others to contribute with their designs. Hare Today, Gone Tomorrow. 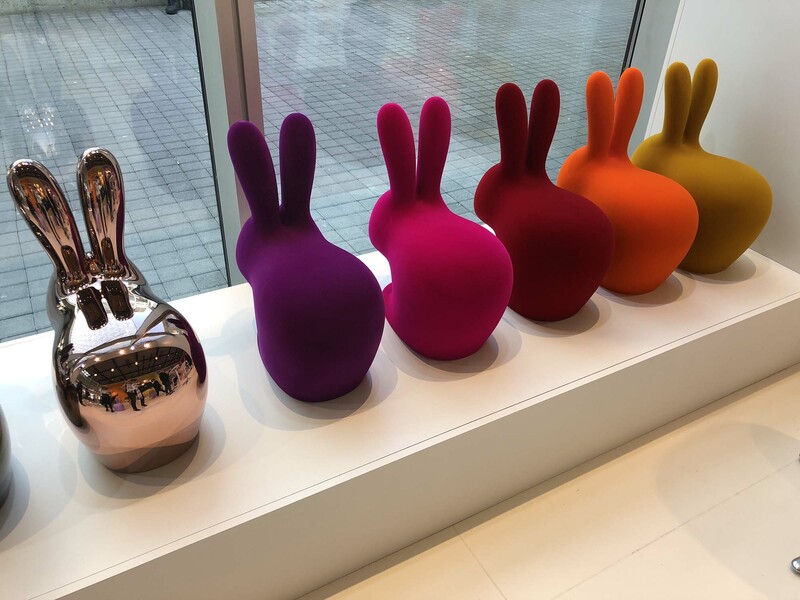 Rabbit chairs by Qeeboo at Salone del Mobile 2018. 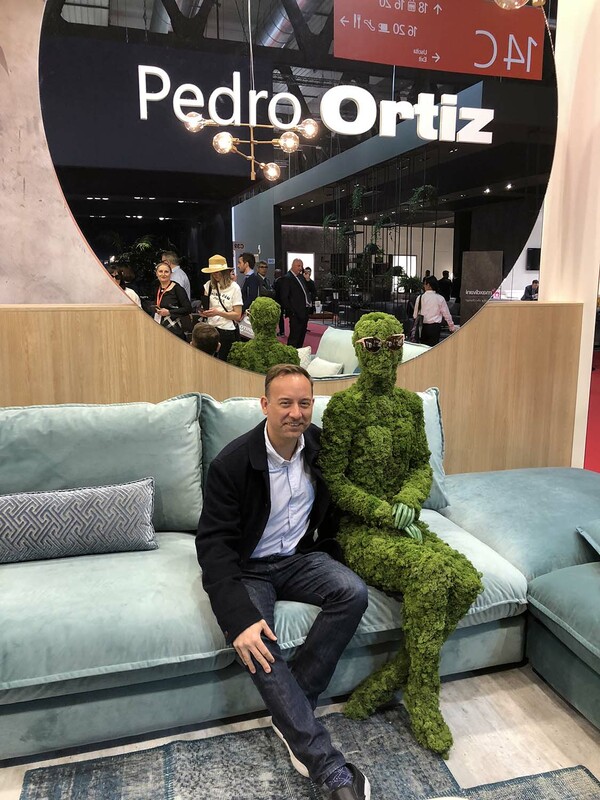 From moss walls to furniture influenced by grass and leaves, this year we saw a wide range of beautiful design elements inspired by natural elements. Get an inside look with KBFA at nature inspired designs at Salone del Mobile 2018. From moss walls to furniture inspired by grass and leaves — nature is a trend to get excited about in 2018! Creativity Is In Our Nature. KBFA works with many talented artists who enjoy creating artwork with natural elements. Click here for one of our favorite nature-inspired KBFA projects. From light fixtures to wall hangings, sculptured mirrors were everywhere at this year’s Salone de Mobile. Designers are incorporating reflective materials more than ever before with fresh styles, bold shapes, interesting materials and new techniques. Mirror, Mirror, on Your Wall. 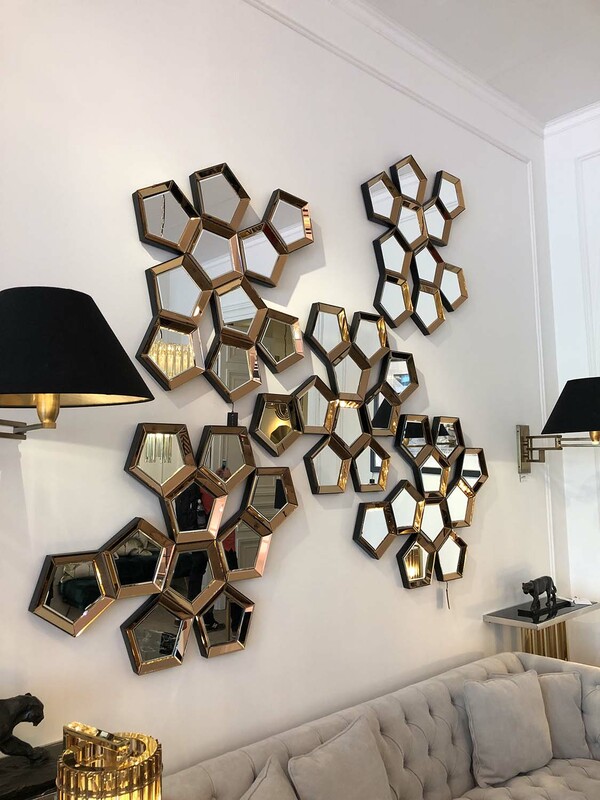 KBFA can customize mirrors for designers using a wide variety of materials and enhancements such as adding LED lighting, natural crystal, colors and framing elements. Click here to view a selection of KBFA sculptural mirrors. Designers at Salone were liberal with their use of patterns and bold colors this year. 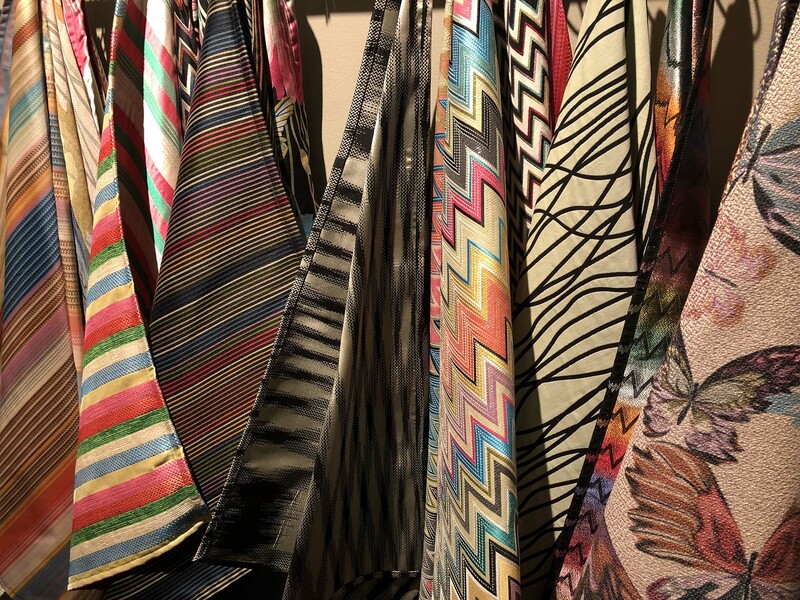 Vibrant new looks and energetic color combinations delighted us at nearly every turn as we strolled through a seemingly endless spectrum of creativity. One of our absolute favorite booths at Salone 2018 was by Kartell, an Italian furniture brand. 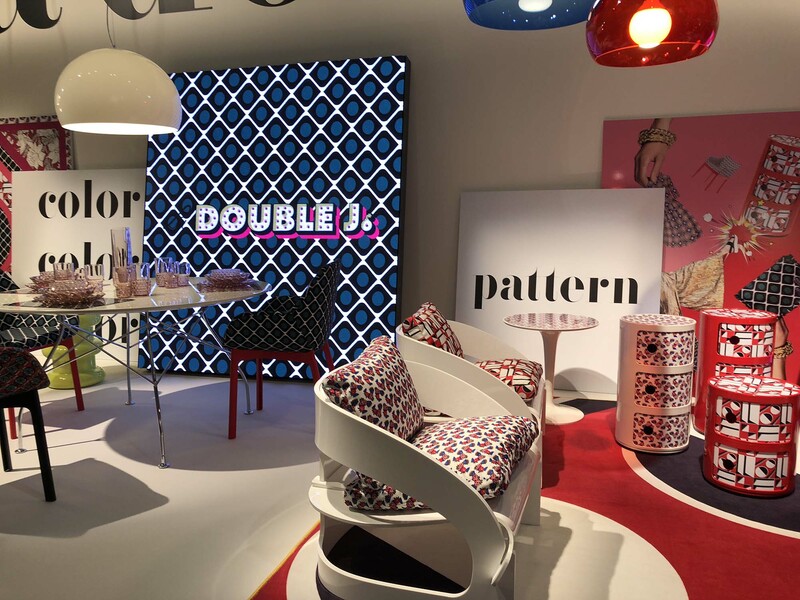 This year Kartell collaborated with Milanese fashion designer JJ Martin, founder of Double J clothing brand. Well known for her bright, busy vintage-style fashions, JJ was invited by Kartell to create a line of chairs, side tables, placemats and pillows, and they all launched — with flying colors — at Salone this year. Wall-sized video screens with moving images — think dreamy clouds, swimming pools, pop dancers — are another theme showcased at Salone de Mobile. For 2018, we’re expecting to see this trend emerge even more in the design world. 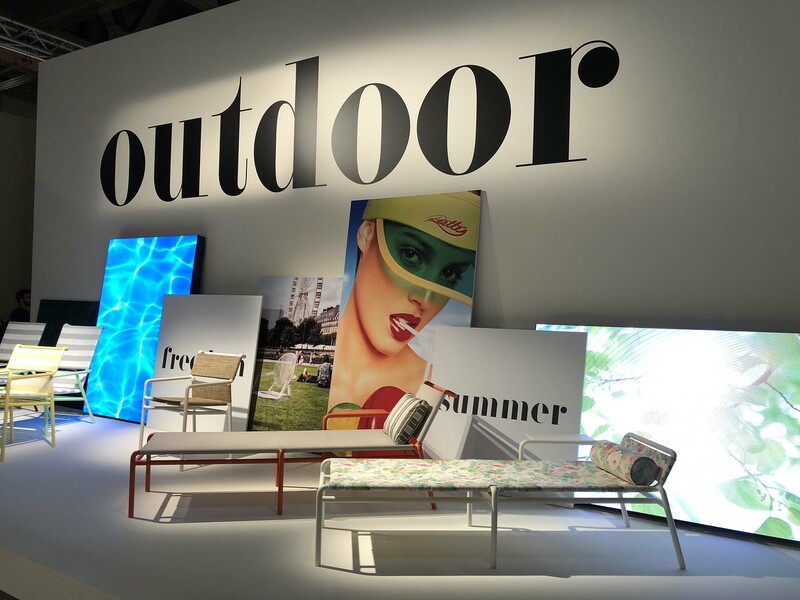 We particularly enjoyed how Kartell incorporated elements of summer fun onto video screens that were leaning, like giant pieces of artwork, against the wall. A Moving Partnership. KBFA recently partnered with Blackdove, a powerhouse provider in the video art revolution. This means we can help you create custom video art for clients or help you choose from a massive library of digital art. You can stream to a single TV or create a full video installation measured in hundreds of feet. From a site-specific kinetic light installation that stretches the imagination to futuristic life in space, KBFA’s Kristin Glass shares a look at a few of her favorite exhibits from Milan Design Week 2018. For example, in an immersive and breathtaking exhibition called Breath of Light, Preciosa showcases beautiful crystal light bulbs that illuminate in response to human breath. Each breath triggers a chain reaction of lights within an enormous chandelier, and so the spectator engages with the artistic light sculpture in a whole new way. Massimo Poggipollini, PR Director for Salone del Mobile, describes the importance of the Space & Interiors exhibit as a “sister fair” to Salone. Stefano Boeri Architetti (SBA) curated the 2018 Space & Interiors show. WIth the theme “The Future of Living and The Planet of the Future,” SBA focused on materials, solutions and innovations for tomorrow. Born in Milan, Stefano’s passion is the intersection between city and nature, which led to his Vertical Forest prototype, along with other visionary projects. 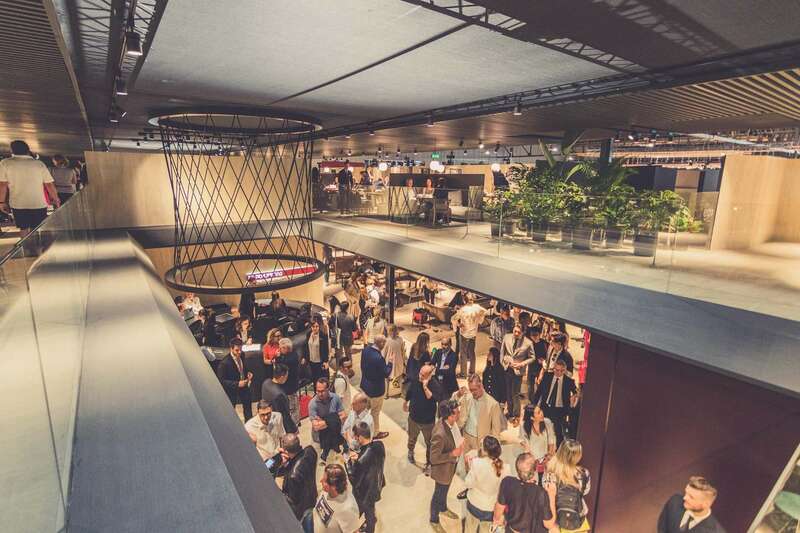 Over 600 designers, architects and dealers attended the Gessi Rockwell party in Milan. 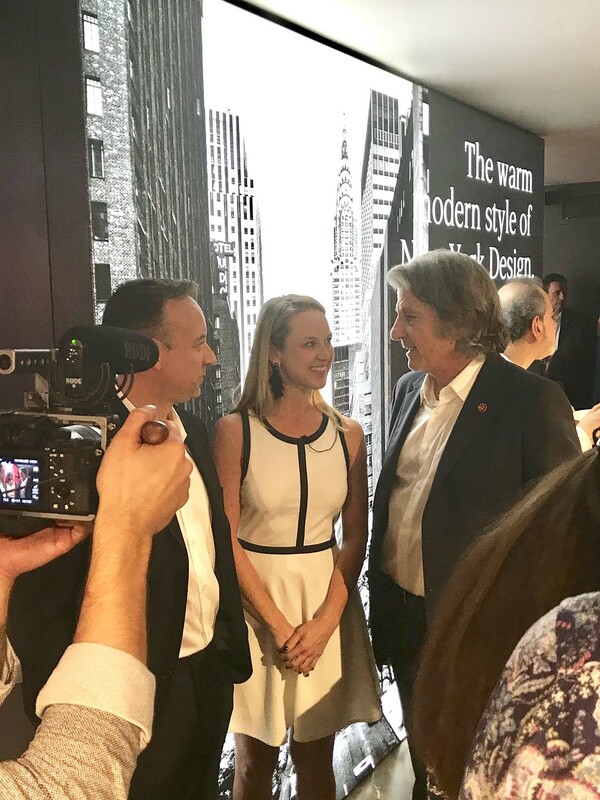 Larry Allen, CEO, Gessi, was kind enough to give Jason Fiore and Kristin Glass a personal tour of the Incinio collection and David Rockwell topped the evening off by regaling us with stories about his experiences during this special week in Milan. KBFA absolutely loved touring the Bvlgari Hotel, which was designed by Milan’s Antonio Citterio, known as “the gentleman of design” for his understated elegance. From the white marble facade to the bronze cantilever roof to the gold and emerald mosaic in the Spa, a wide range of materials are all integrated in a stunning way. Oh, and the garden! What was once a monastery’s vegetable garden is now Bvlgari Hotel’s masterfully planned succession of open-air rooms. 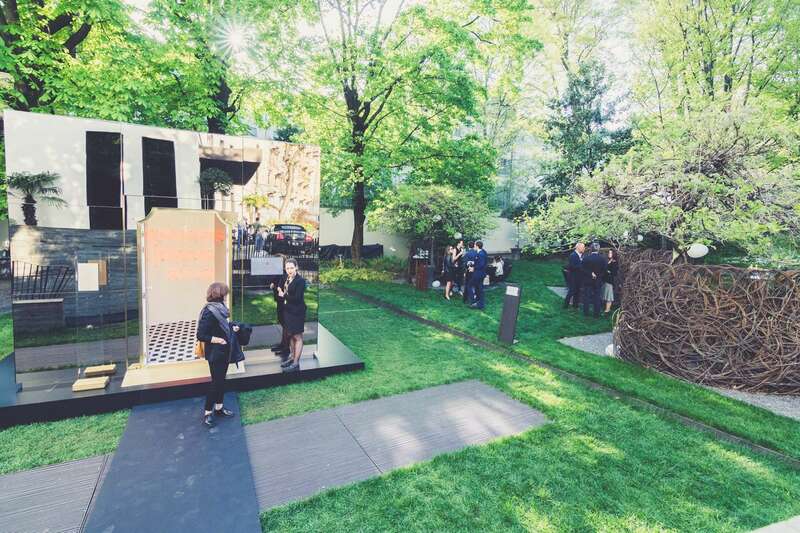 During Salone del Mobile, Flexform hosted cocktails in this garden, which was transformed to become part of the fair’s Reinventing Design Rules journey. The centerpiece was The Mirror Cube, a dreamlike box that, once you walk inside, you are hypnotized by swirling black-and-white patterns. Cocktails Al Fresco: Click here to see photos from the Flexform Garden Party. Kitchen Chic: You may kiss your boring stainless-steel fridge goodbye when you see this chic artistic Italian collection. 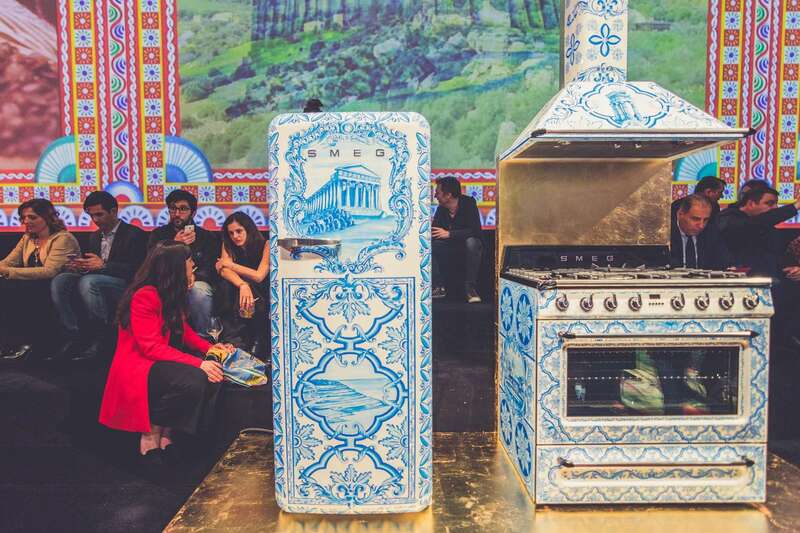 SMEG and Dolce & Gabbana collaborated to create an artisan line of appliances dubbed “Sicily is my Love” which they launched in Milan. A Vibrant Night. 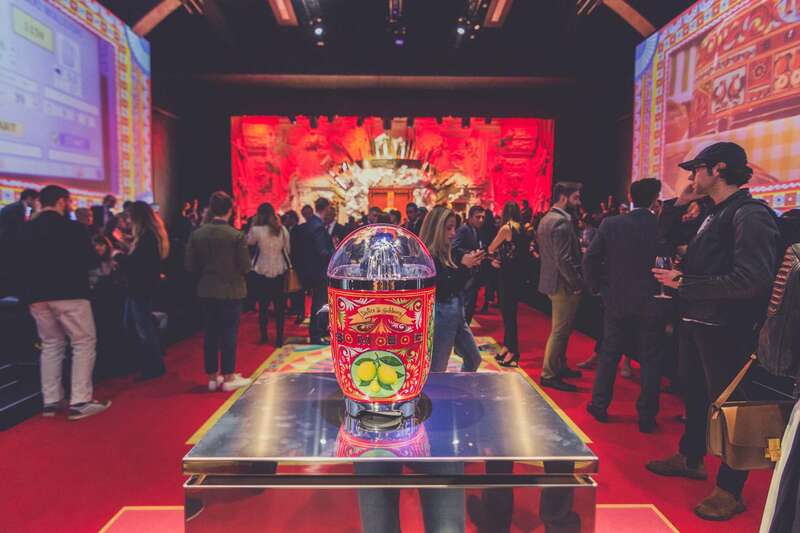 It was a fun-filled evening of vivacious patterns, vivid colors, sparkling chandeliers and pure extravagance at the SMEG and Dolce & Gabbana event. 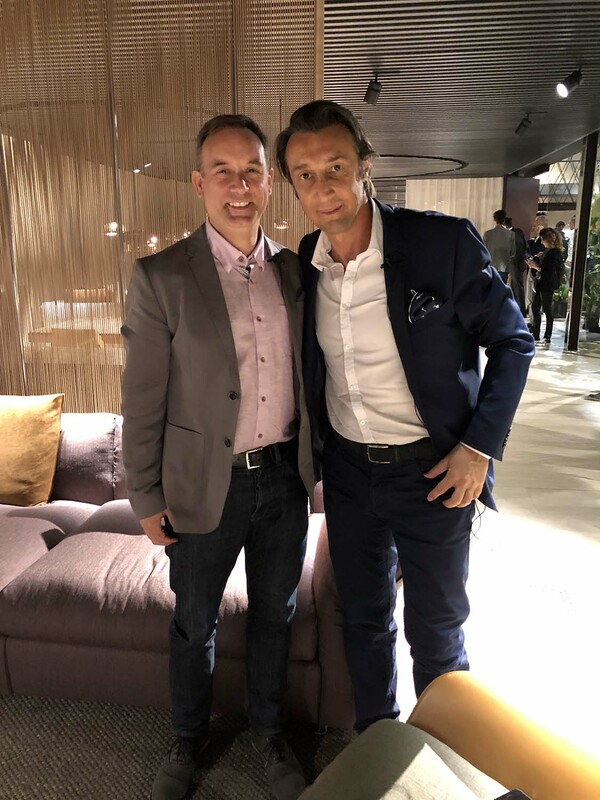 The two brands hosted an exclusive launch party at the historic Metropol for their new luxury appliance collaboration, “Sicily is my Love.” It was a treat seeing Mr. Dolce and Mr. Gabbana in person. We were thrilled to attend! Join KBFA’s Jason Fiore and Kristin Glass as they celebrate at the exclusive launch of Dolce & Gabbana and SMEG’s luxury appliance line, “Sicily is My Love”. GC Collaborative organized a private tour of the eleventh edition of the Triennale Design Museum for interior designers, and KBFA joined the group. This section of the Triennale includes 180 works dating from 1902 to 1998. The exhibit weaves together a series of stories to illustrate the complex nature of Italian design. The spring climate in Milan created the perfect atmosphere for the rooftop lunch KBFA hosted for designers at Terrazza Triennale. 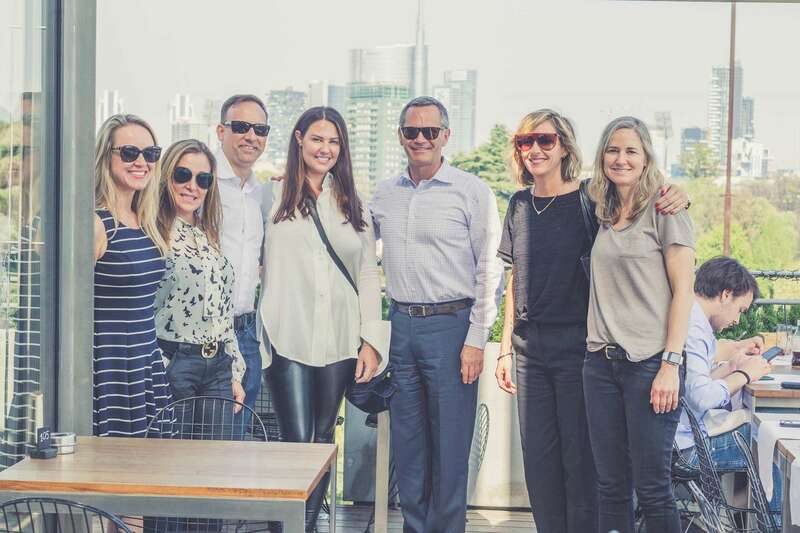 Perched above La Triennale di Milano’s Palazzo dell’Arte, we enjoyed oysters and Prosecco with a view of the Parco del Sempione, Castello Sforzesco and the majestic Milan skyline. At Terazza Triennale, Michelin-starred chef Stefano Cerveni offers a modern take on traditional Italian dishes, while remaining faithful to the ingredients that confirm their close ties with the land and with Italy. Thank you, Miuciana Prada for keeping art your #1 passion (after fashion!). Dedicated to contemporary art and culture, the Fondazione Prada used to be a distillery dating back to the early 1900s. During our private tour, we learned about the architectural aspects of the Fondazione as well as the exhibitions currently on view. Solid Gold. 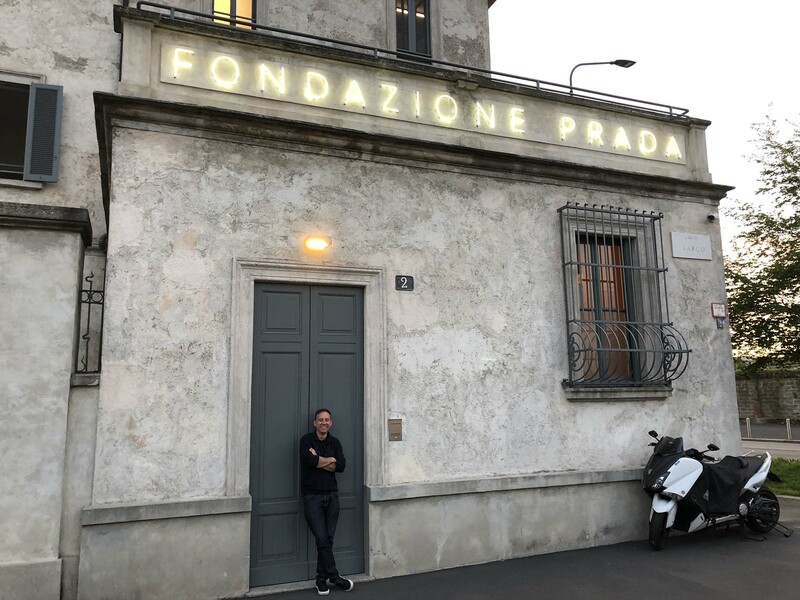 The new permanent Milan venue of Fondazione Prada was unveiled in 2015. Architectural firm OMA, led by Rem Koolhaas, conceived the new complex, which combines pre-existing buildings with a trio of new structures. The goal was to expand the repertoire of spaces in which art can be enjoyed by the public. Join KBFA on a private tour of Fondazione Prada. We’ll explore the innovative designs and architecture crafted from unique materials like gold leaf, aluminum and more. 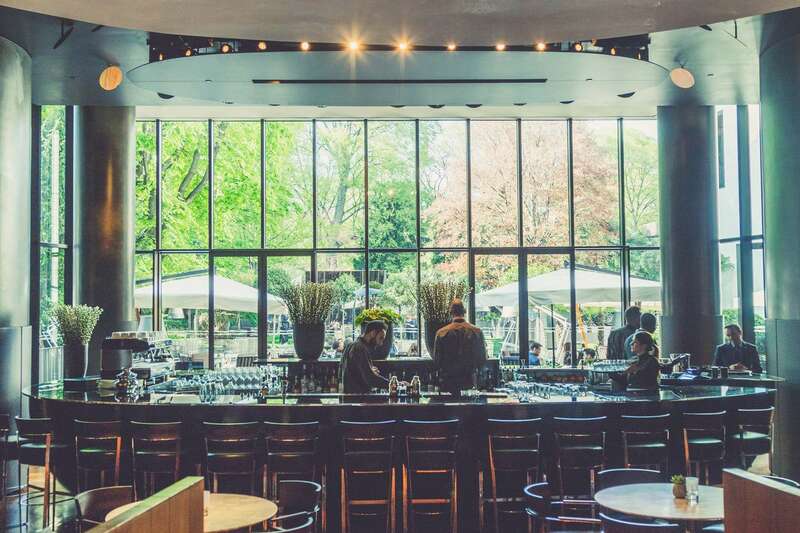 Italian Treat: Bar Luce was voted the No. 1 Instagram spot in all of Milan. What better place for KBFA Principal Jason Fiore to host a casual cocktail hour for designers? Located in the Fondazione Prada and designed by film director Wes Anderson, Bar Luce recreates the atmosphere of a typical Milanese cafè, with colors and materials reminiscent of Italian pop culture in the 1950s and 1960s. Insta-worthy Happy Hour. KBFA hosts exclusive cocktail hour for top interior designers at Bar Luce, designed by film director Wes Anderson. 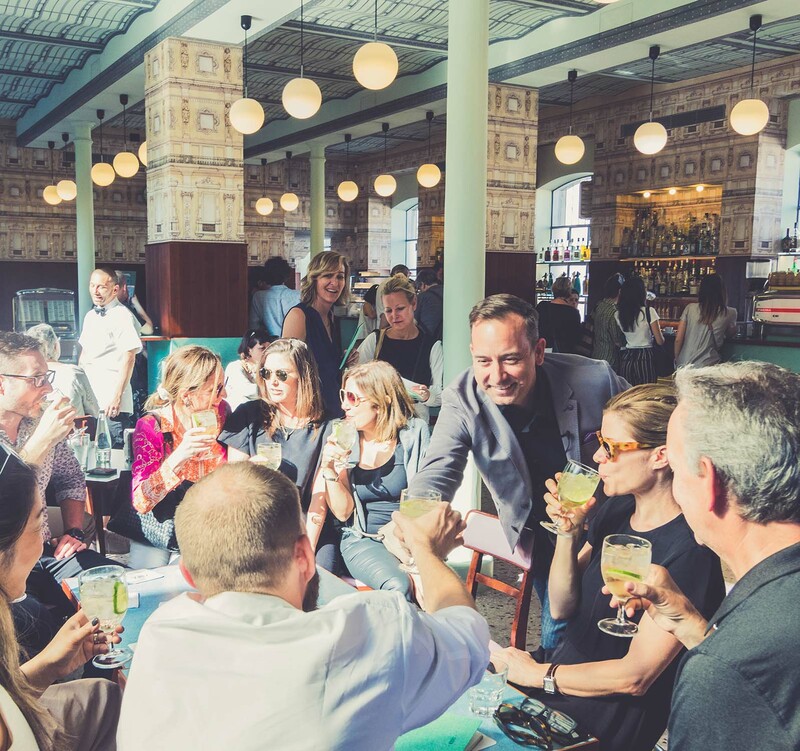 Bar Luce is rated the No.1 “Instagrammed” location in Milan.